Who hasn't had the dream of winning the lottery and enjoying life without cash flow woes? Of course, many of those who experience a lottery windfall find themselves regretting the stroke of luck as money just seems to have a way of changing things--and not always for the better. 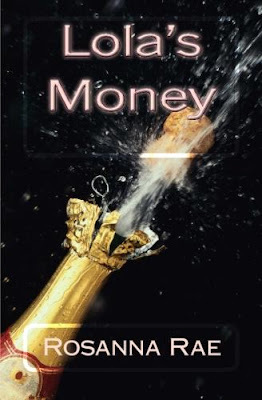 I had the opportunity to read and review Lola's Money, the latest book by Rosanna Rae. (You may enter to win a copy of the book in the book tour giveaway at the end of this post!) What did I think of Lola's Money? Disclosure: I received a complimentary copy of this book for use in this blog review. All opinions are my own. Quick Summary of Lola's Money by Rosanna Rae. Lola French is stunned when she wins millions on the Lottery, and she is sure all her dreams are about to come true. However, right from the start, before she even claims her winnings, things begin to change and she separates abruptly and acrimoniously from the man she has been living with. Everyone knows a Lola. While you may not know a lottery jackpot winner; you likely know an average, everyday woman moving through daily life; seeking something "better". Readers may even see a lot of themselves in Lola. The character's realistic, simplistic, down-to-earth nature makes it easy to root for throughout the books' ups and downs--but, it also makes her seem a little too naive and child-like at times. Nonetheless, I think everyone knows someone like Lola and can see the events of this book happening in "real life" as well. Lola's Money takes a fictional look at real human nature. Readers aren't going to find Lola and her mother transforming to jetsetting women of the world overnight. Readers are going to follow the story of two women finding themselves plopped into a situation in which they have no experience nor expectations--they are simply living their lives. While the money doesn't change Lola or her mother--the human forces at play around them cause changes. Self serving motives pop up with jealousy, greed and doubt as the women learn to navigate their newly found wealth and "status". Would I recommend Lola's Money? Lola's Money isn't an action filled thriller--but, it does move quickly and the storyline flows well from the beginning to the end. While there is a little danger and deception; there aren't huge "a-ha moments" or death defying feats--just a story of the aftermath of an unexpected lottery win. I enjoyed Rosanna Rae's writing style and her characters. If you are seeking a thrilling romance or action packed drama--this isn't it--but, if you want to settle in for a well written, human nature story with ups and downs (and a reasonable ending)--add Lola's Money to your reading list. 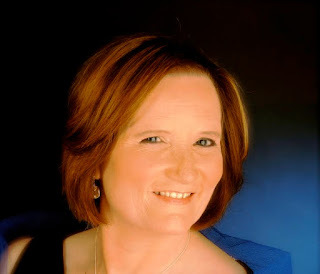 About the Author: Rosanna Rae is married with three grown-up sons and lives in Livingston, Scotland. She has a B.A. (Open) in Social Science subjects and also took a writing course with The Writers Bureau some years ago. She spent 16 years at home raising her family and then returned to full-time secretarial employment in Edinburgh. Hi, Angela. Thanks very much for your thoughtful comments on Lola's Money. Realism is the main thing I aim for in my writing, and it's not easy to combine that with trying to create an interesting story and characters. It's a tricky balancing act. Glad you liked it and would recommend it to others. I would love to read this book because I find it interesting how the lottery changes people's lives. Hi, Natalie. I find that subject very interesting, too, because it makes you more aware of human nature - your own and other people's. But I'm sure a win like that would have many very positive effects also. As much as we all long to hit the big one, and have no more money worries I am fearful of how that would change things in my life. I would love to see how Lola deals with those changes in reading your book. Hi, Stacey. I wouldn't worry about it being as negative an experience as I've portrayed in 'Lola's Money'. I simply did that because it was something that interested me and I thought it would make a good story. Like most other people, I'd love to have that kind of money to play with also! There's no harm in trying. Hope you enjoy the book when you come to read it.